Ever wanted more ecological diversity in Minecraft? 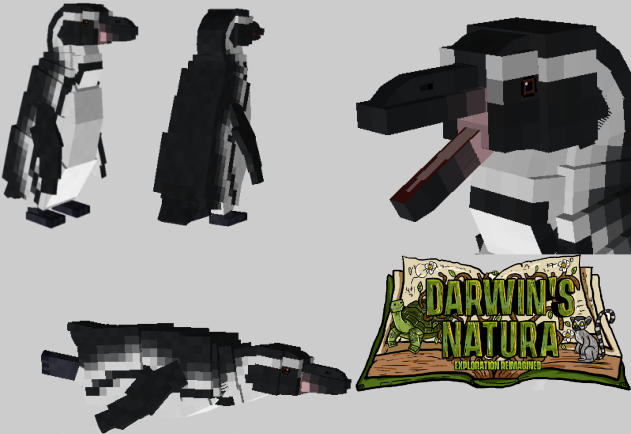 This mod plans to show you the world through the lens of Charles Darwin. You will voyage on the HMS Beagle to not only where Darwin himself went but much further. On your journey, you will find peculiar animals, new biomes, plants and even cultures. You should not miss the chance to catalogue the species either by your journal, live specimen or taxidermy! You will also come across functional ecosystems that sustain the species who live on it. New processes such as Domestication and genetics will be added to your MC worlds! This mod is WIP so do not expect a release yet. oh... didn't know that was there... hah. The Discord link is outdated, please could you update it? I would love to join!